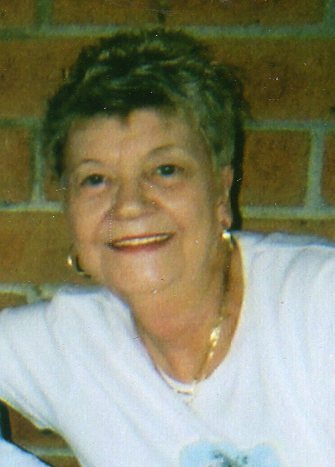 Lillian C. Williams, 83, of Fremont, went to be with her Lord in the late evening of October 19, 2017 with family by her side. Born November 2, 1933 in Bowling Green, Ohio to the late Arthur Sr. and Lillian Pearl Dickey, Lil married Harold Ray Williams on July 21, 1951 in Greencastle, Indiana. They settled and raised their family in Fremont, Ohio, enjoying almost 57 years of marriage together. Lillian worked many years within the family tree care business, Ace Tree Service, performing bookkeeping and administrative services. She lived every day to the fullest and was known as the life of the party! With her vibrant spirit and energetic personality, she lit up the room, spreading humor, laughter, and happiness wherever she went in addition to spending time with family and friends, Lil loved going on shopping adventures and sporting the latest fashion. Lillian is survived by her children; Michael (Claudia) Williams, Susan (John) Ottney, and Cindy (Eric Overmyer) Williams, all of Fremont, OH; sister MaryAnn Homler, Clyde; sister-in-law and best friend, Helen Williams, Green Castle, IN; 10 grandchildren; and her many, many great grandchildren, whom she adored. While Lil will be deeply missed, we find comfort knowing that she is reunited with loved ones who have preceded her in death; her husband Ray, her daughter Karen; sisters Wilma, Ginny, and Helen; brothers Bud, Gib, and John; and many friends. Visitation: Monday, October 23, 2017 from 11 a.m. to 1 p.m. at Wonderly Horvath Hanes Funeral Home and Crematory, 425 E State St., Fremont, OH. Service will Monday, October 23, 2017; 1:00 p.m. at the funeral home. Mike, Susie,and Cindy, so sorry for your lost of your mom, I can still remember all weekends that we spent at each other’s house while our parents went out, we had the best times. You are in my thoughts and prayers!! Mike,Sueand Cindy.. I’m so very sorry about your Mom. I’ll never for when I go as at your house and your mom loved my sweater she just kept going on and on about it I said here you can have it and I took it off and give it to her I think every time I ran into her she talked about that. She was always so sweet to me.I loved her too!! Rip Ms Lillian. Praying for the entire family. Mike , Cindy & Family My Deepest condolences. Your in my thoughts and prayers. I am so sorry for your loss. I remember going to your grandfather’s home several times during the summer of 1989. Your grandmother always had a smile & invited everyone in as family. During the summer of 1990, I saw Mrs Williams once. I was pregnant & she was so comforting & gave me great advice. I never saw her again, but I never forgot what a sweet & kind person she was. Prayers for your comfort at this time. To all of you: these times are so very hard, but staying close as a family will lighten the pain of the loss of your mom, grandmother, great grandmother, friend,sister. She was someone very dear to each and everyone of you and my heartfelt condolences and prayers go out to all of you.God bless you all. Cindy and family so sorry for your loss! RIP Lil , My thoughts and prayers are with the entire family . May she dance in heaven with her hubby . Prayers and condolences to all of Lil’s family. Prayers and condolences for Lil’s family. Our deepest sympathy and prayers will be with all of Lil’s family during this sad time. May your memories of this beautiful lady comfort you and give you peace. Prayers for the family in my deepest condolences. My sincere heartfelt condolences to Mike, Cindy and the families.